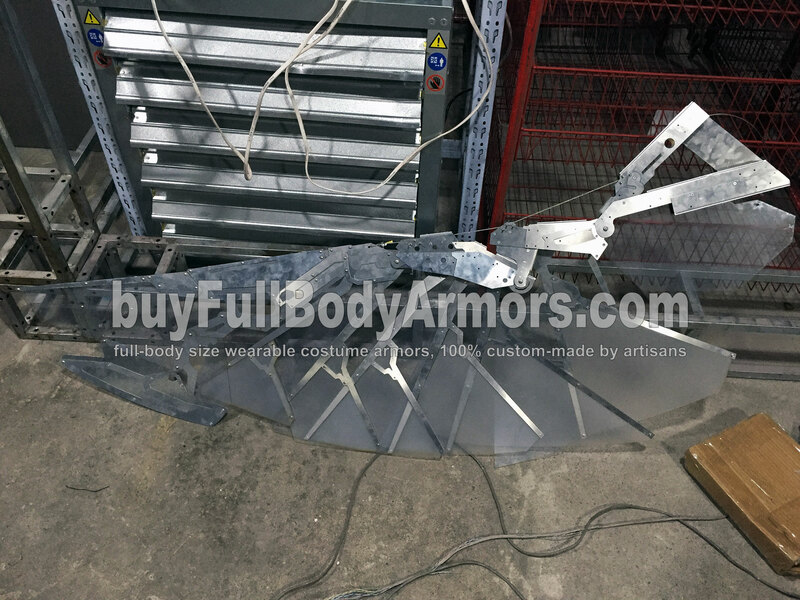 As you can see in the photos below, we have added many mechanical decoration to the retraction structure of the wearable Avengers Falcon Suit wing. 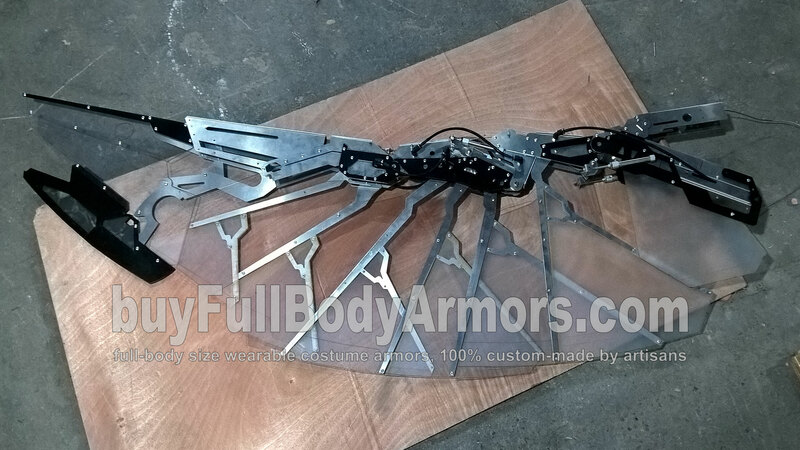 And we have also optimized the arrangement of all the 'flight feather' so that the wing can retract as much as possible. 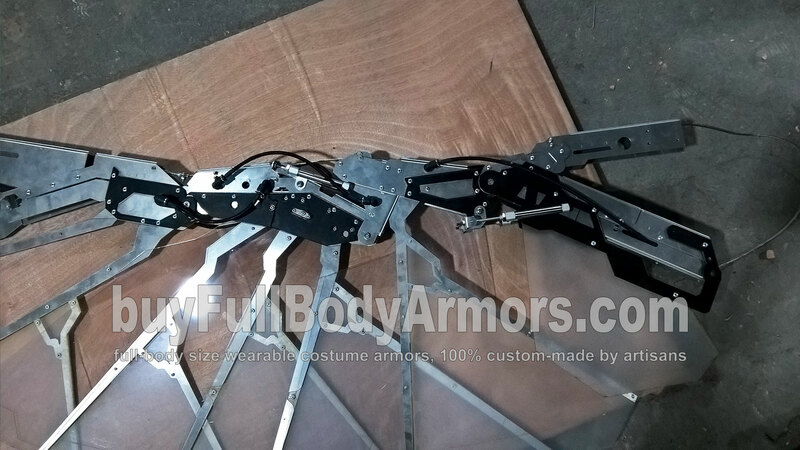 This entry was posted in Falcon Suit Wearable Armor Costume R&D Full History and tagged buy wearable Avengers Falcon armor,buy wearable Civil War Falcon armor,buy wearable Avengers Falcon costume,buy wearable Civil War Falcon costume,buy wearable Avengers Falcon suit,buy wearable Civil War Falcon suit on Apr 13,2016. 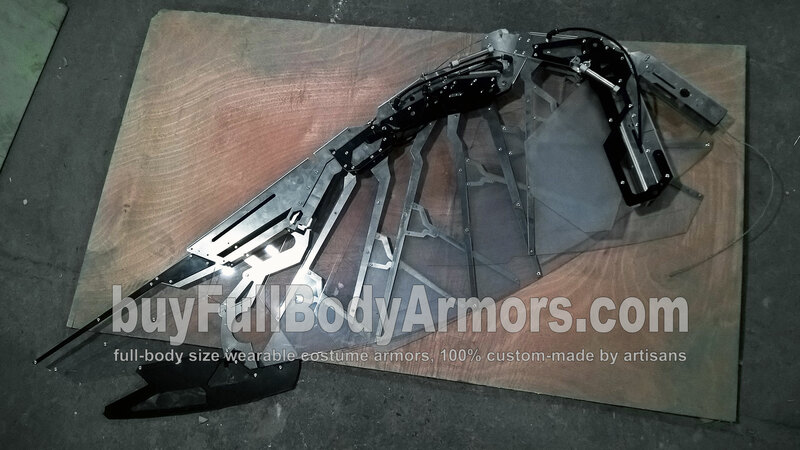 We have officially start the wearable Avengers Falcon suit project last week. Here is the first progress report. 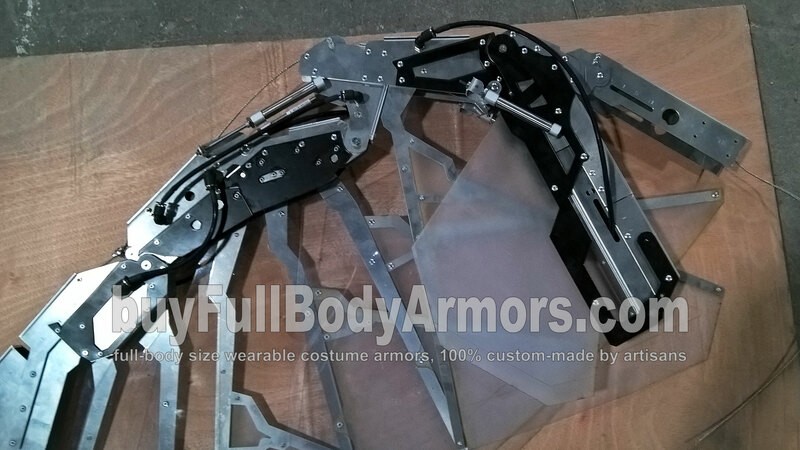 The framework skeleton is made of the aluminium alloy and wing main body is made of plastic. Stay tuned for our next update! This entry was posted in News,Falcon Suit Wearable Armor Costume R&D Milestones,Falcon Suit Wearable Armor Costume R&D Full History and tagged buy wearable Avengers Falcon armor,buy wearable Civil War Falcon armor,buy wearable Avengers Falcon costume,buy wearable Civil War Falcon costume,buy wearable Avengers Falcon suit,buy wearable Civil War Falcon suit on Mar 21,2016.